Carmudi is an online vehicle marketplace connecting sellers and buyers in more than 13 countries around the world. 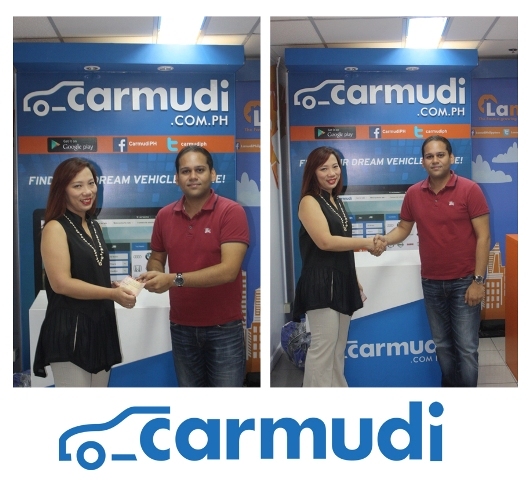 In the Philippines, Carmudi envisions itself to be the #1 platform for Filipinos to find their dream vehicle online. For Filipino car buyers, Carmudi gives them the power to find their dream vehicle just a click away by providing an online platform with the biggest, most comprehensive choices of high quality car listings. By replicating the experience of going to a car dealership online, and giving more options for buyers, Filipinos can now be assured that they can find the perfect car that fits their lifestyles, needs, and budget. All cars in Carmudi go through a quality assurance system to ensure accuracy and thoroughness of all listings. Part of their mission to provide quality service to Filipinos, Carmudi supports ABS-CBN Lingkod Kapamilya Foundation's Bantay Kalikasan Program, through a cash donation. This donation was turned over by Managing Director Mr. Subir Lohani to ALKFI's Senior Marketing Officer, Ms. Ish Panganiban this 18th day of December, 2014. Their contribution will support Bantay Kalikasan's advocacy in protecting the environment through its eco-tourism projects, community engagement and continuous protection and preservation of the La Mesa Watershed.